Download ppt "Yahoo! 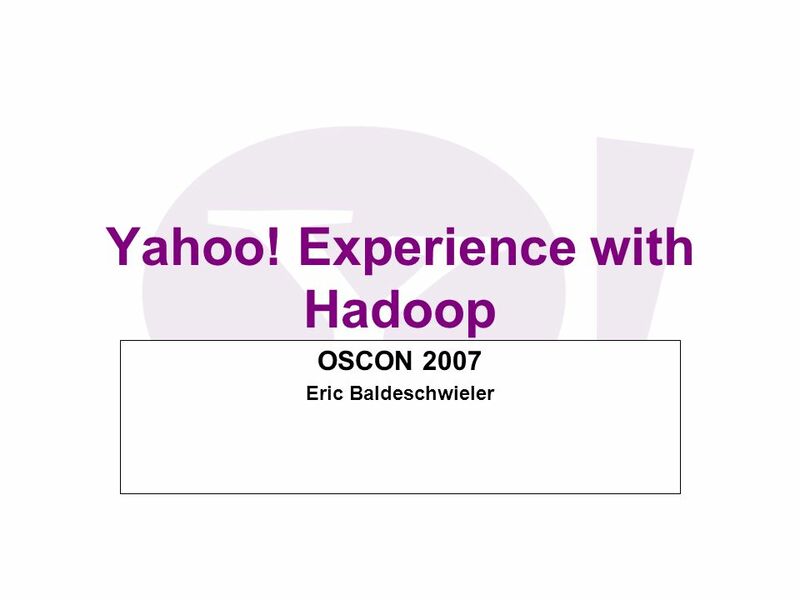 Experience with Hadoop OSCON 2007 Eric Baldeschwieler." Wintouch eCRM A Customer Relationship Management Solution designed specifically for AS/400 or iSeries Users. 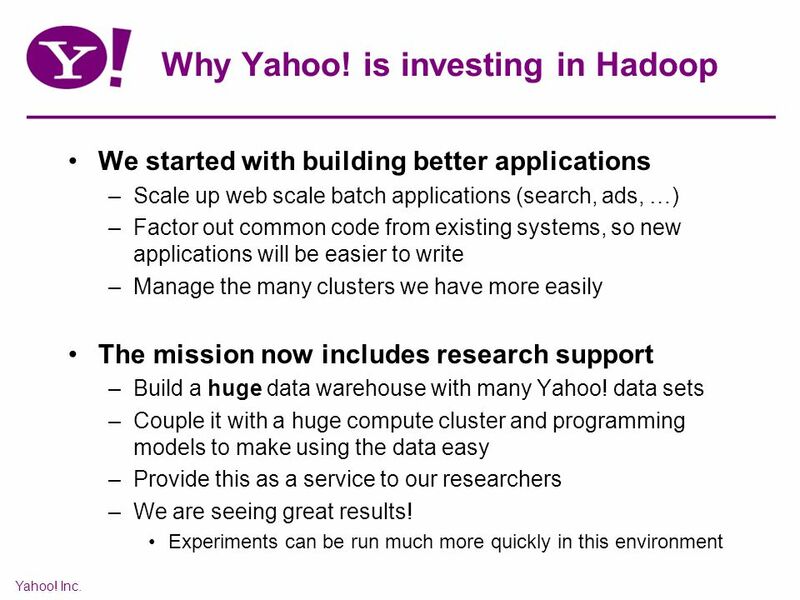 Meet Hadoop Doug Cutting & Eric Baldeschwieler Yahoo! From Startup to Enterprise A Story of MySQL Evolution Vidur Apparao, CTO Stephen OSullivan, Manager of Data and Grid Technologies April 2009. Media6. Who We Are Media6° is an Online Advertising Company Specializing in Social Graph Targeting –Birds of a feather flock together! –We build. (Distributed) Denial of Service Nick Feamster CS 4251 Spring 2008. The Professional, Easy to Use Service Working for Landlords Locally, Regionally & Nationally. EHarmony in Cloud Subtitle Brian Ko. eHarmony Online subscription-based matchmaking service Available in United States, Canada, Australia and United Kingdom. 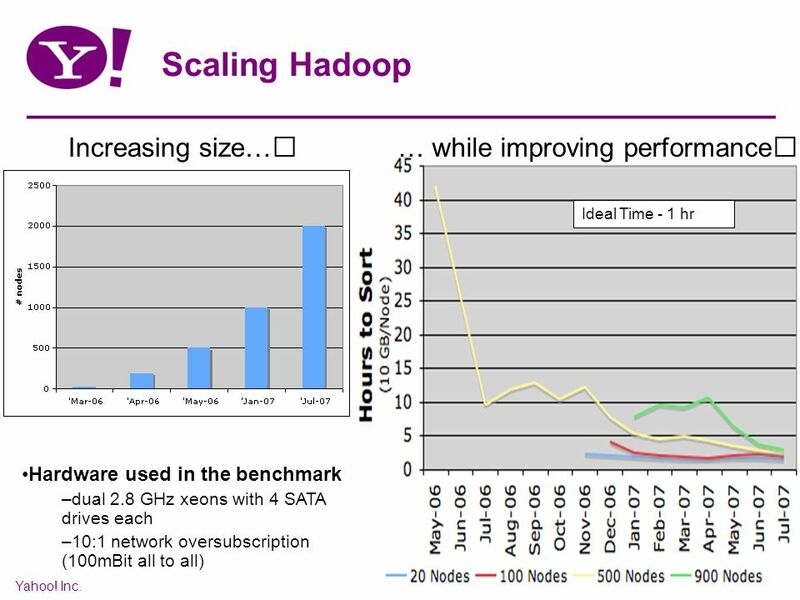 HPC Pack On-Premises On-premises clusters Ability to scale to reduce runtimes Job scheduling and mgmt via head node Reliability HPC Pack Hybrid. Observation Pattern Theory Hypothesis What will happen? How can we make it happen? 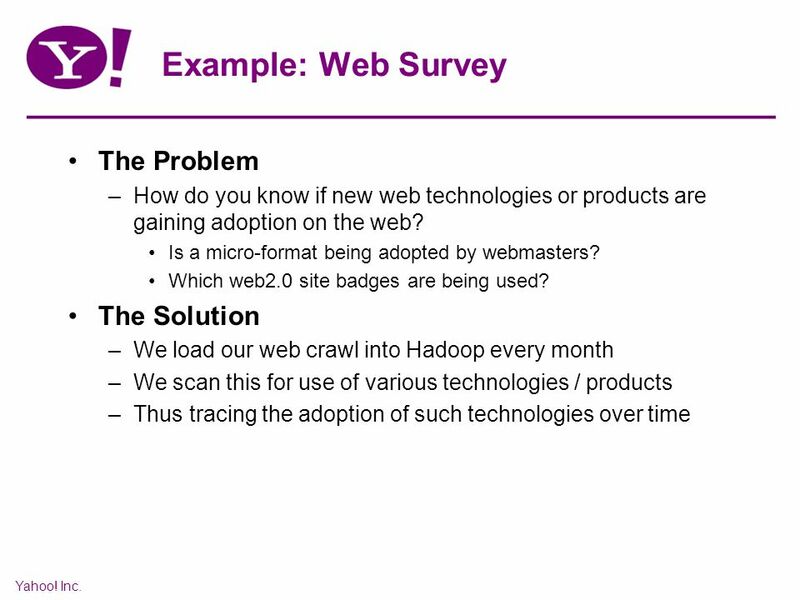 Predictive Analytics Prescriptive Analytics What happened? Why. 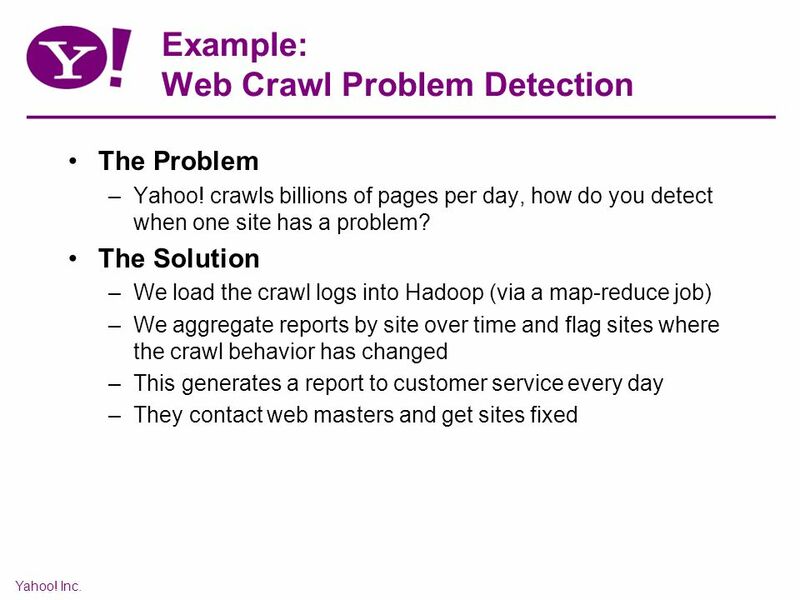 MapReduce: simplified data processing on large clusters Jeffrey Dean and Sanjay Ghemawat Presented By :- Venkataramana Chunduru. LocalAdService.com A Local Search Web Application By Oleg Gnatovskiy. Gordon: Using Flash Memory to Build Fast, Power-efficient Clusters for Data-intensive Applications A. Caulfield, L. Grupp, S. Swanson, UCSD, ASPLOS’09. GETTING BUTTS INTO THE SEATS. SOCIAL MEDIA FACTS As of tomorrow Facebook will be 10 years old and has an estimated 1.3 BILLION users Facebook StatisticsData.